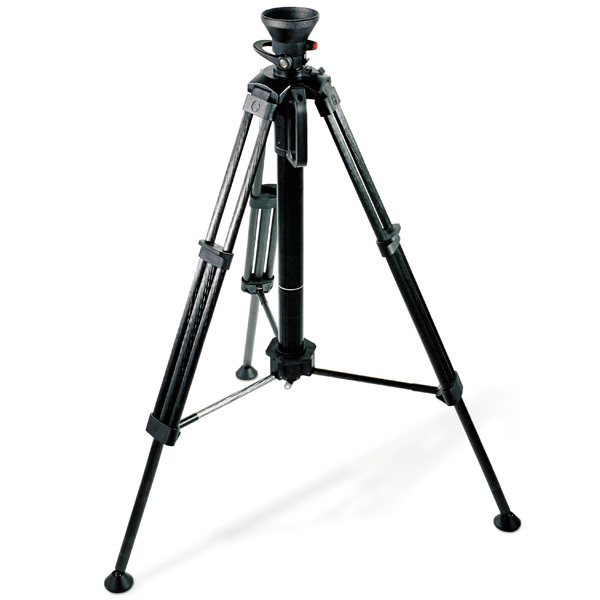 Tripod Sticks, HotPodCF10, Carbon Fiber HotPod, 1-Stage With Rising Center Column (Size-10 Pneumatic Spring), 100mm Bowl, Payload: 33 lbs., Height 31 To 68"
The Fastest Tripod In The World Is The Perfect Companion For The Dv 8/100, Dv 12, Dv 15, And Video 18 Plus/Sensor. All That’s Needed To Change The Fluid Head Is A Touch Of The Button – No Tools Are Required! With Its Centering Function, The Hot Pod’s Locking System Simultaneously Releases And Locks All Three Legs. The Pneumatic Center Column Easily Lifts Loads Up To 25 Kg / 55.1 Lb To Lens Heights Of Over 2 M / 6.6 Ft And Has A Factory Set Elevation Force That Is Maintenance Free. And If You Need To Move Quickly, The Hot Pod Cf Has Both A Handle And A Strap For Easy Carrying.